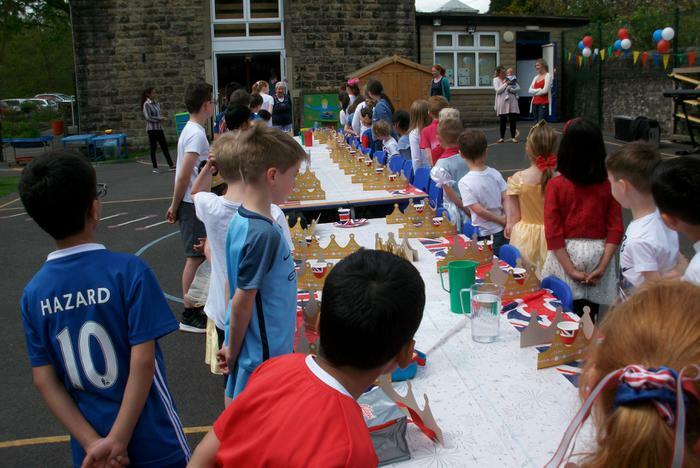 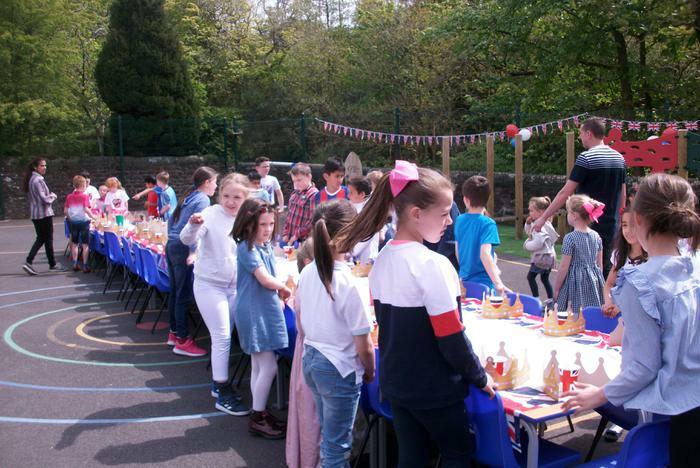 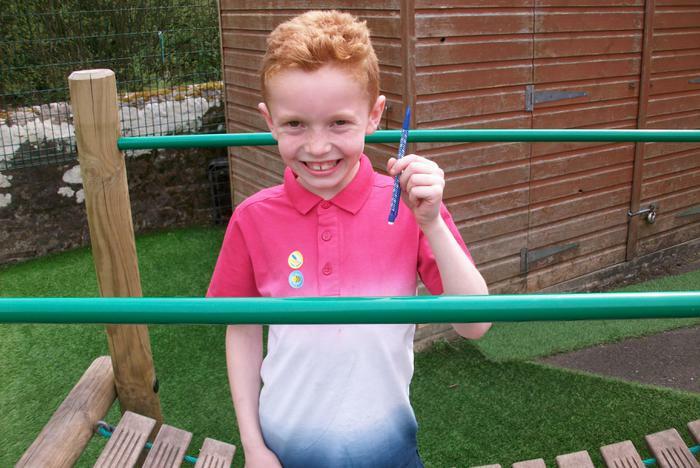 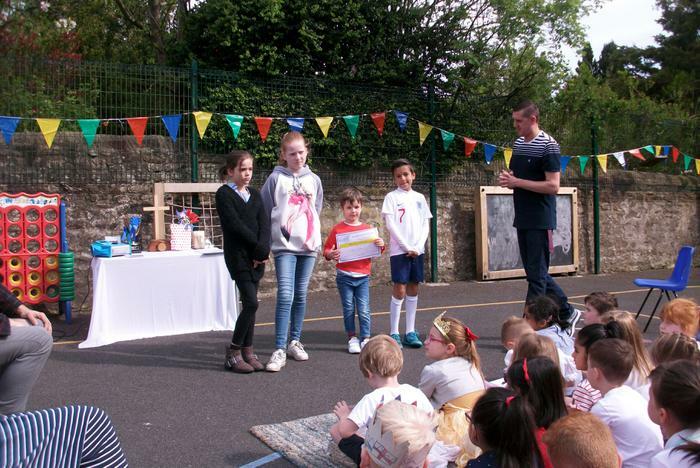 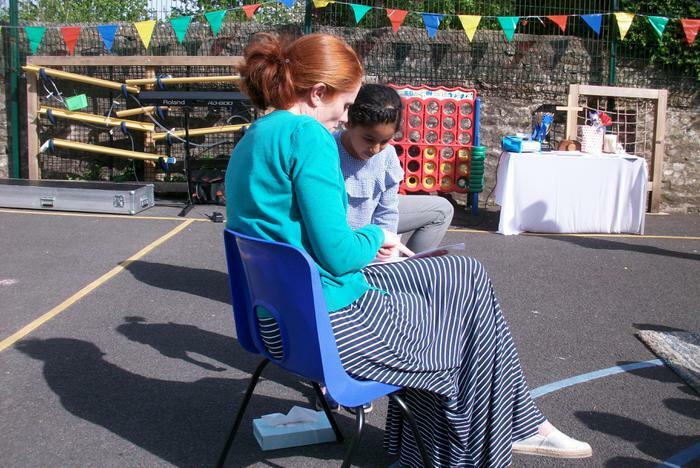 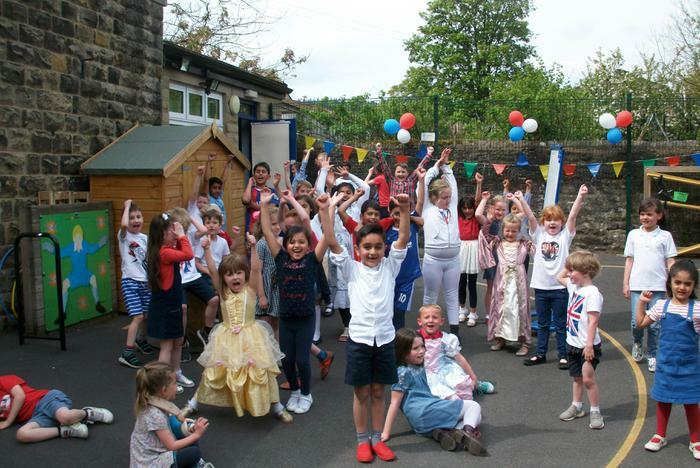 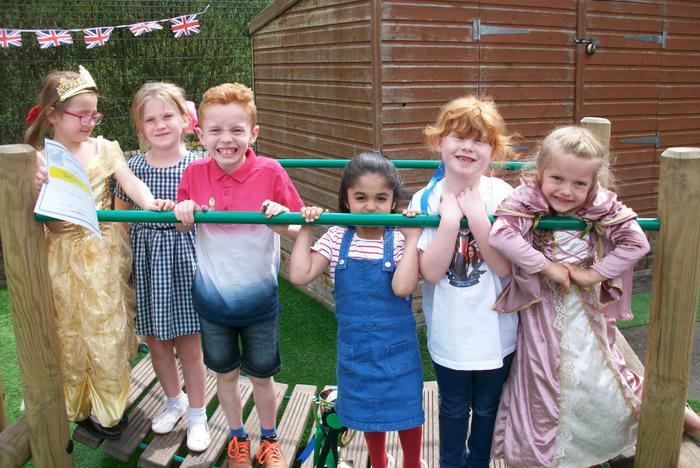 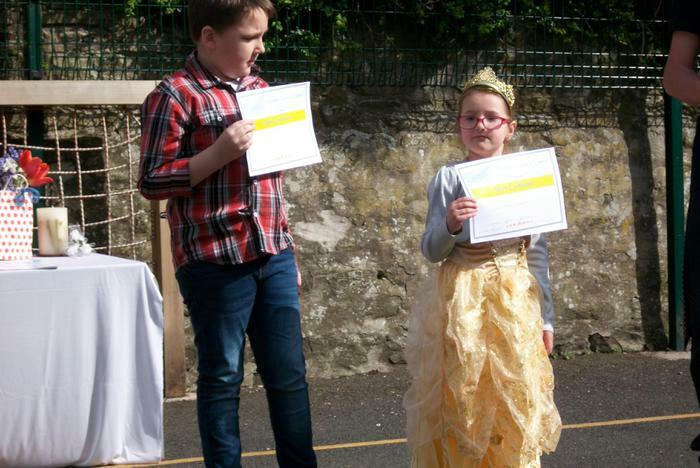 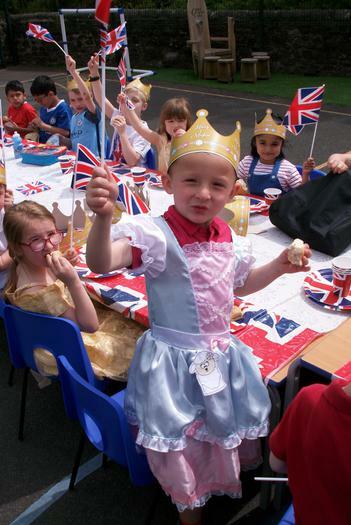 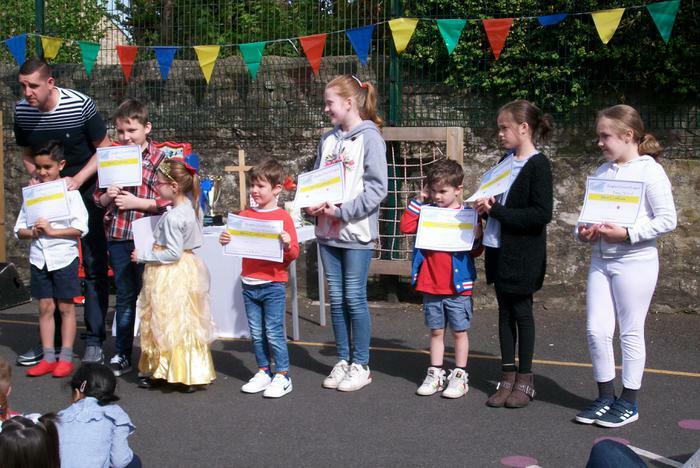 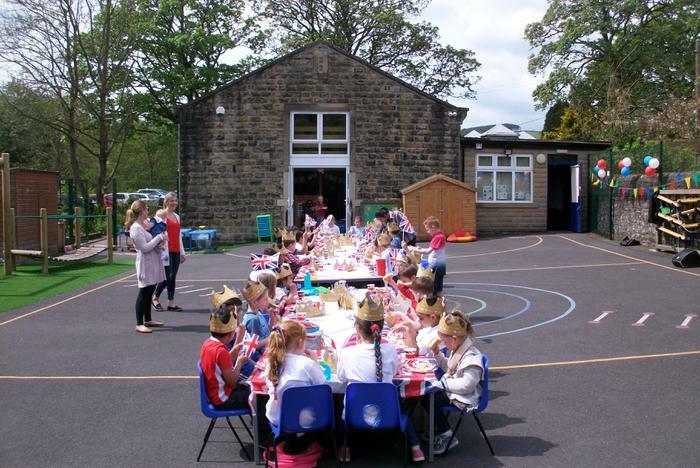 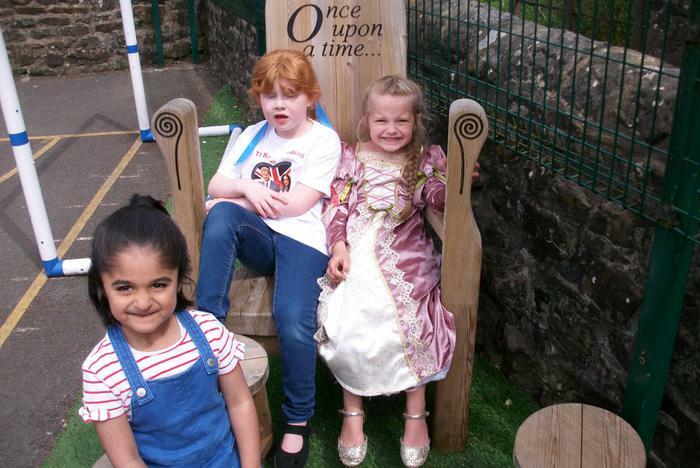 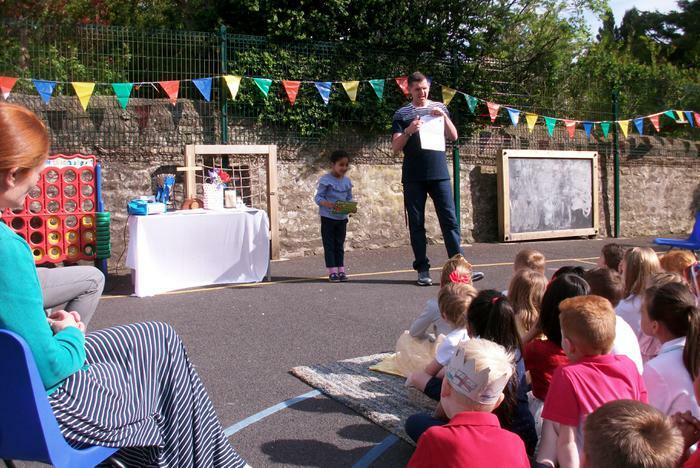 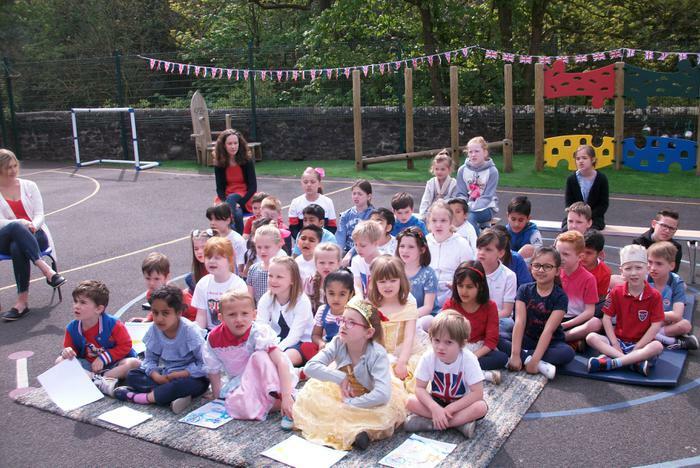 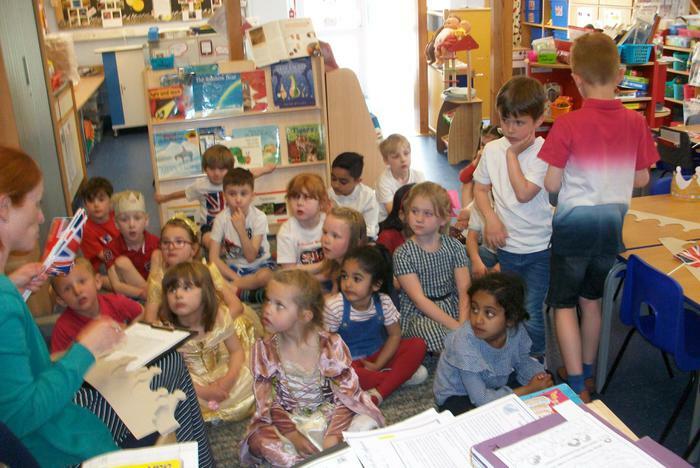 The children looked fabulous in their red, white & blue clothes and princess dresses today; thank you for all your donations towards the FORS Summer Fair and your support. 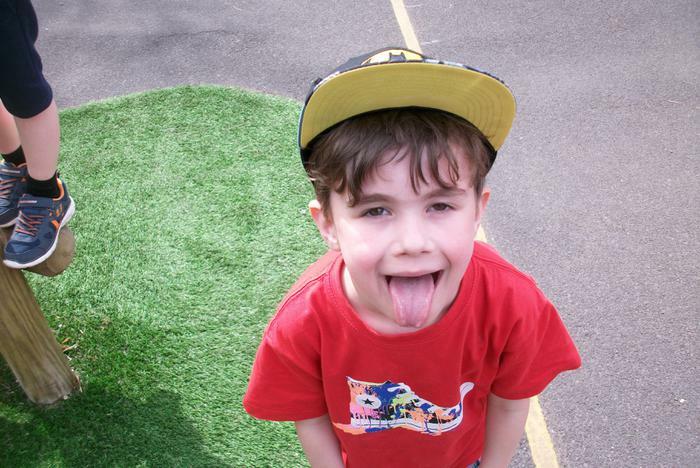 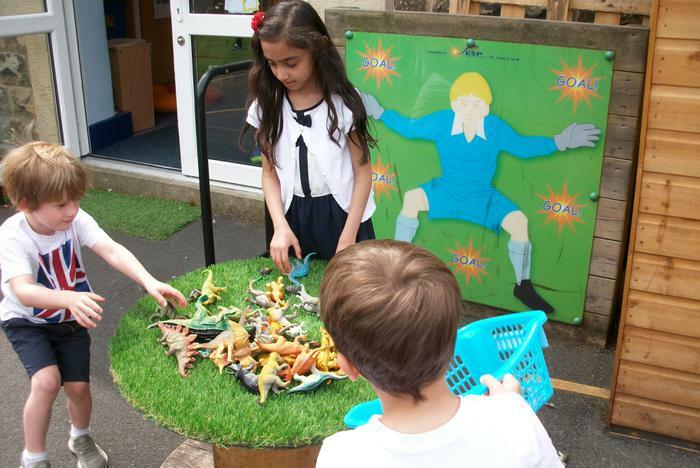 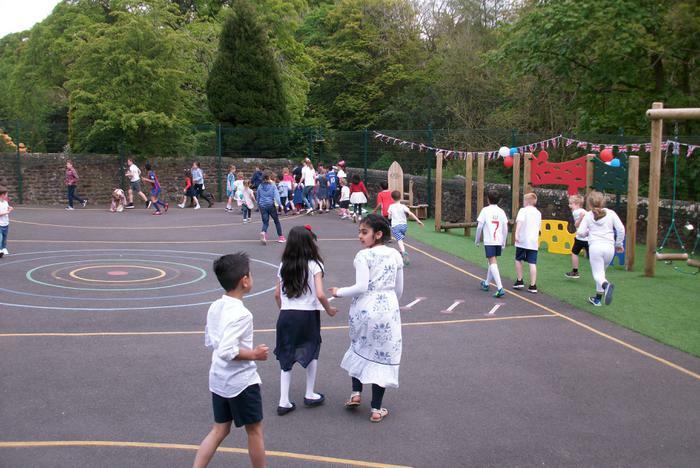 We have enjoyed a wonderful day outside today in the glorious weather. 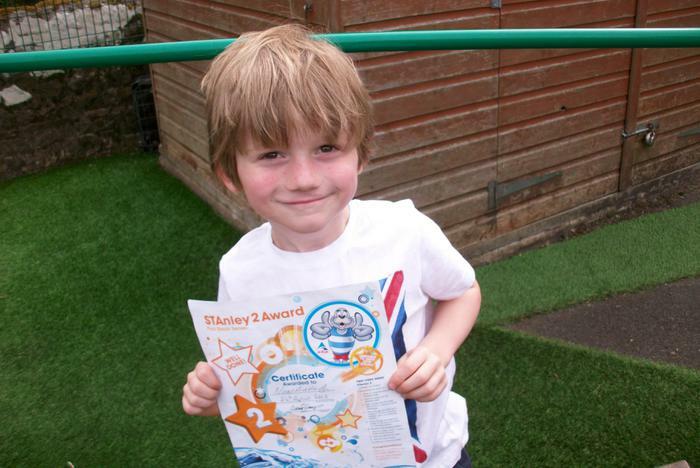 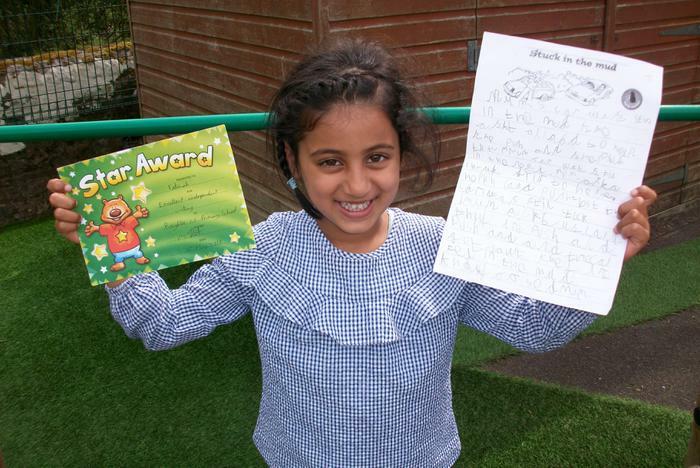 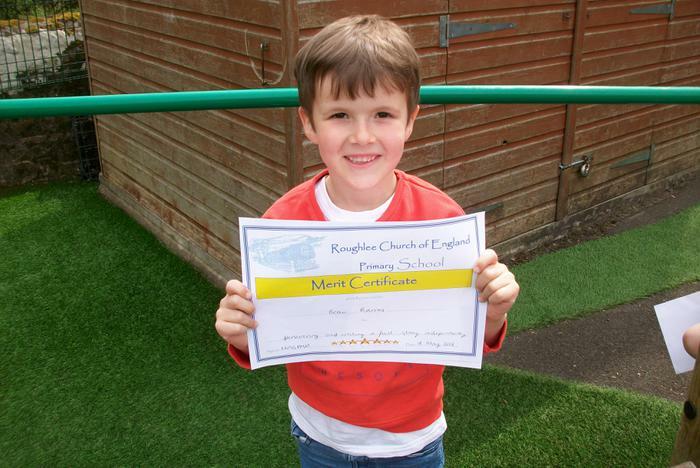 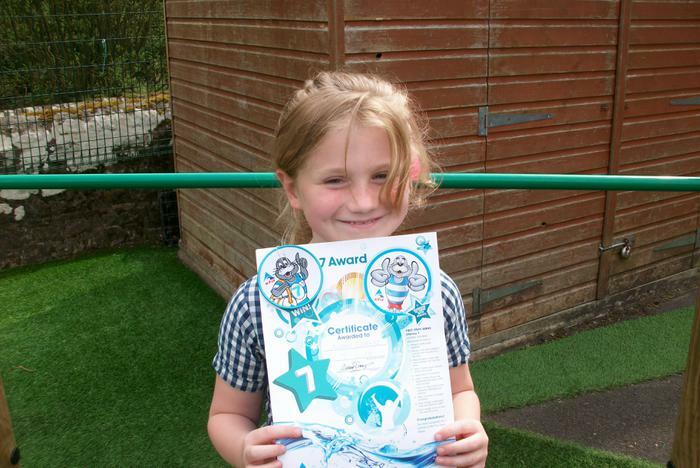 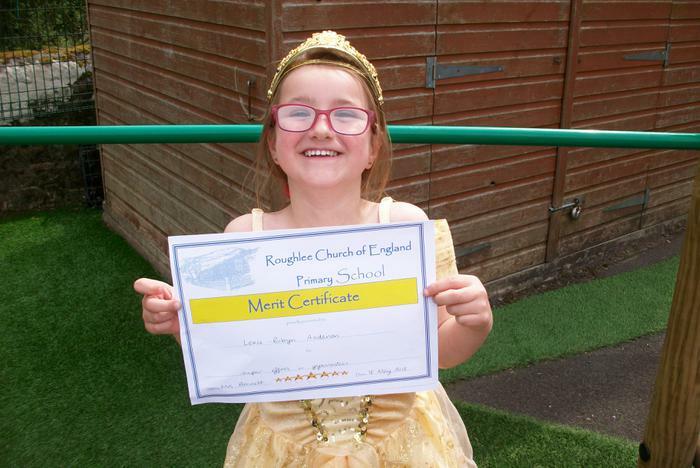 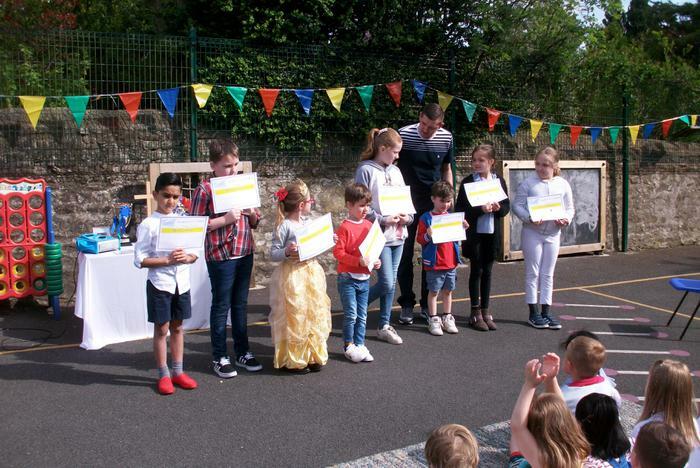 We started the day with our celebration assembly, recognising the children’s achievements throughout the week. 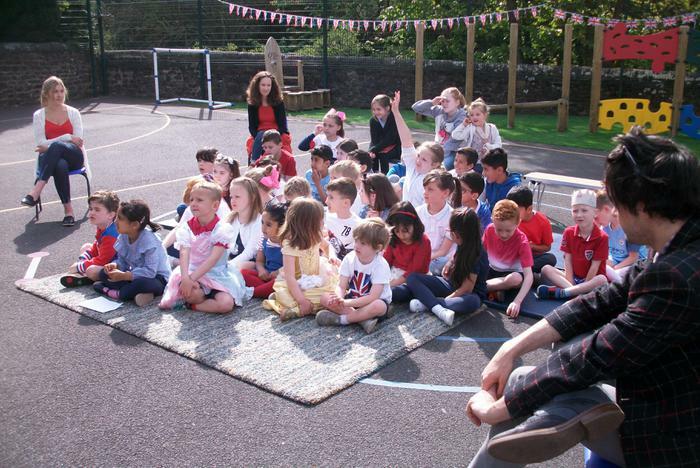 The children then remained outside for their weekly music lesson with Mr Galea. 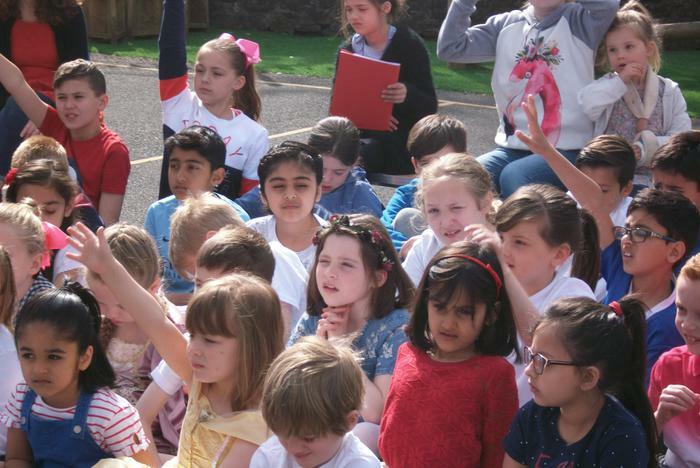 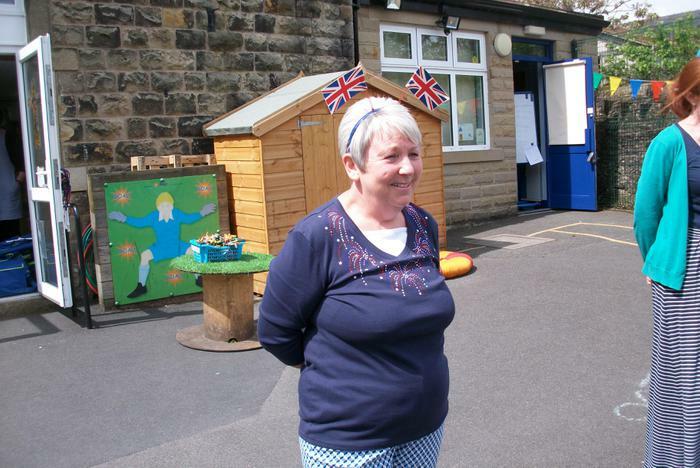 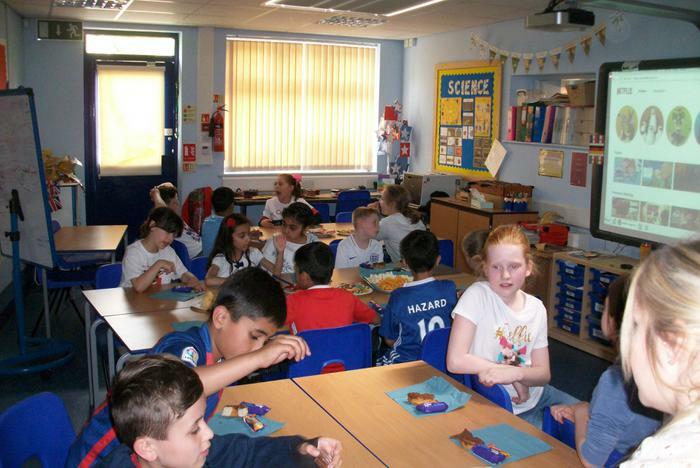 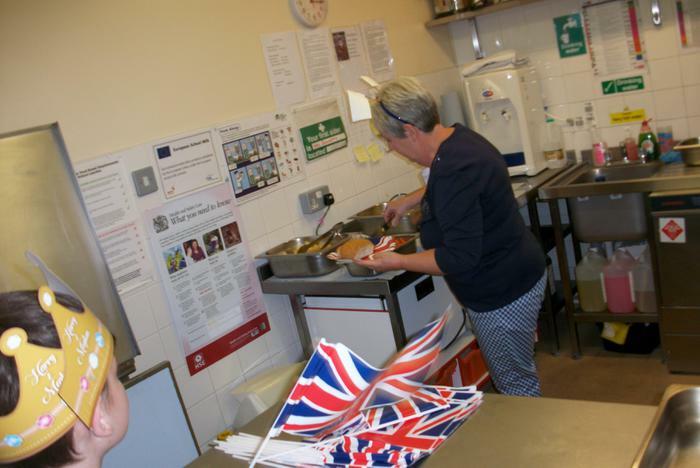 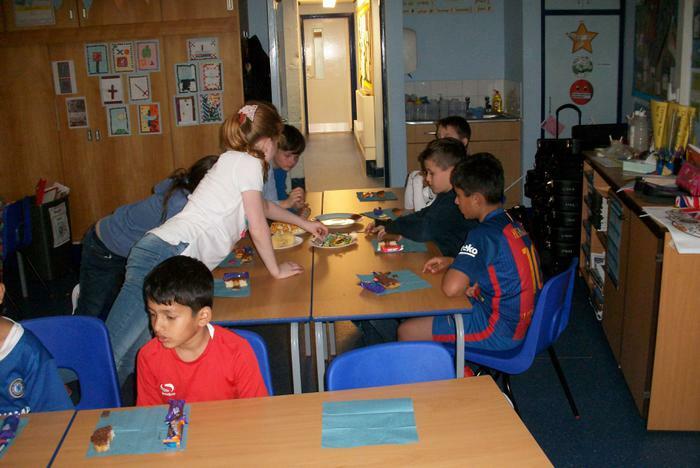 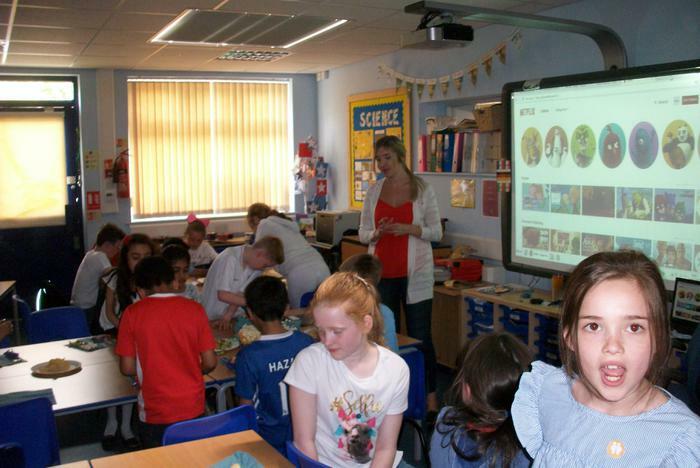 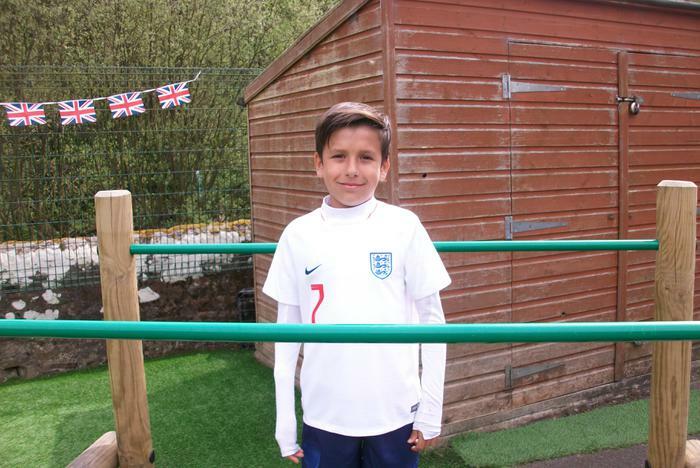 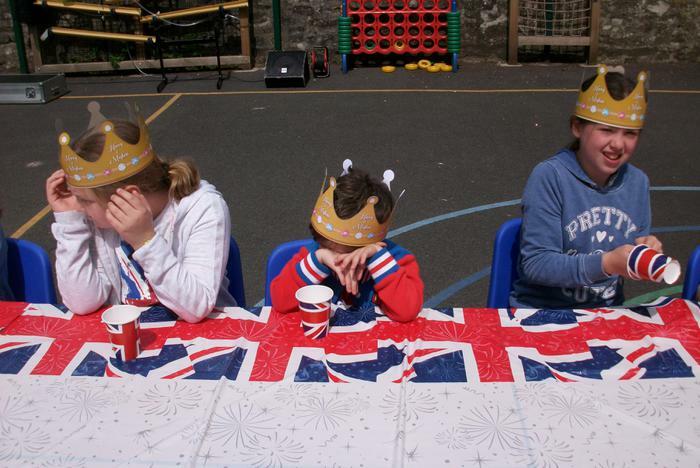 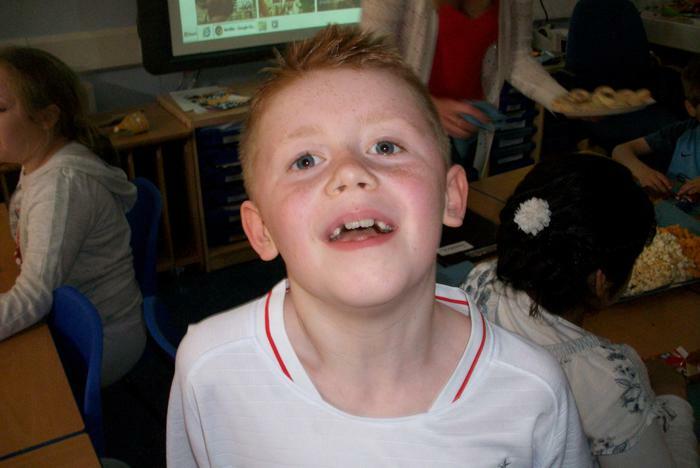 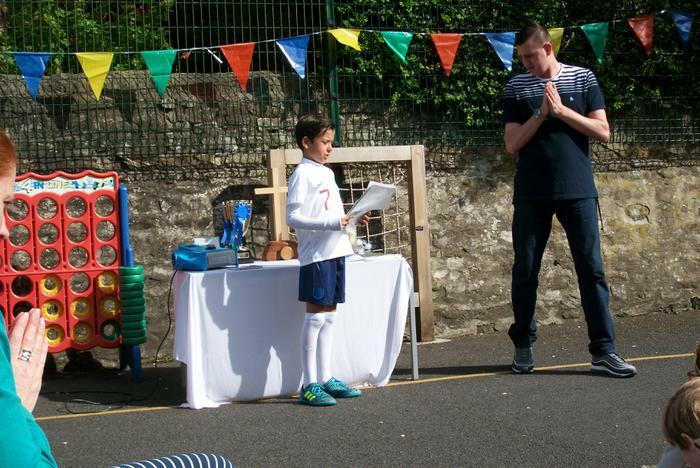 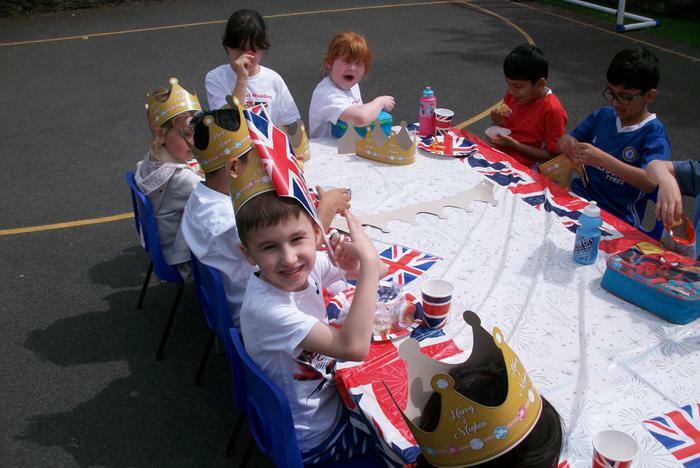 As part of today’s lesson the children have learnt the National Anthem – linking to our ‘Red, White & Blue Day’, our recent work on British Values and of course tomorrow’s Royal Wedding. 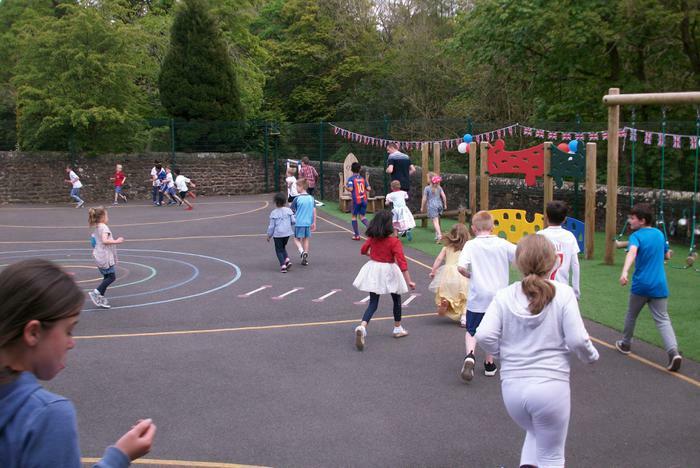 Following this the children then completed a mile of our playground (25 laps!) 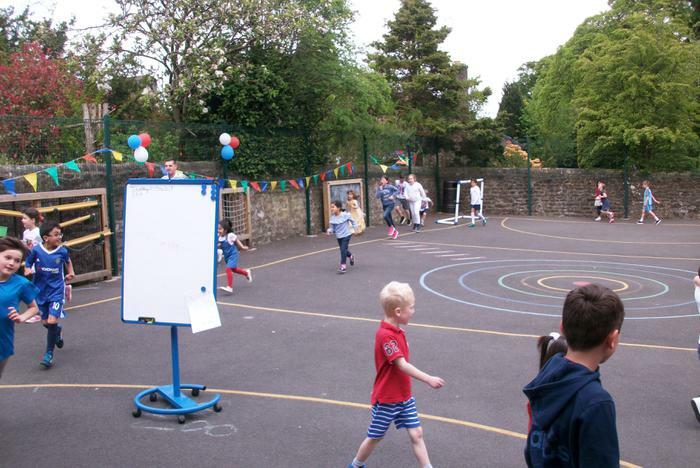 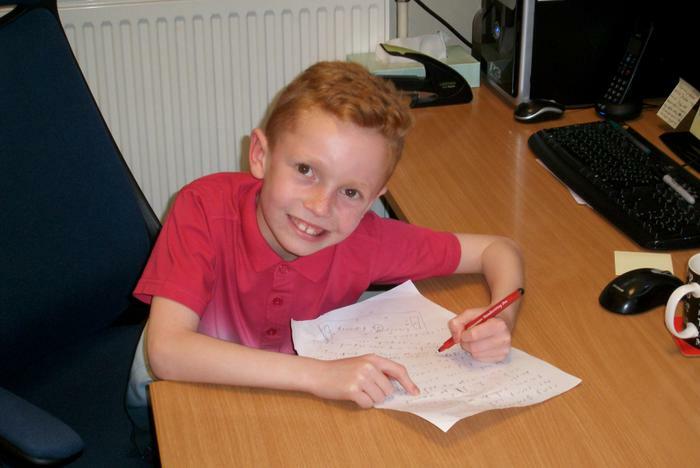 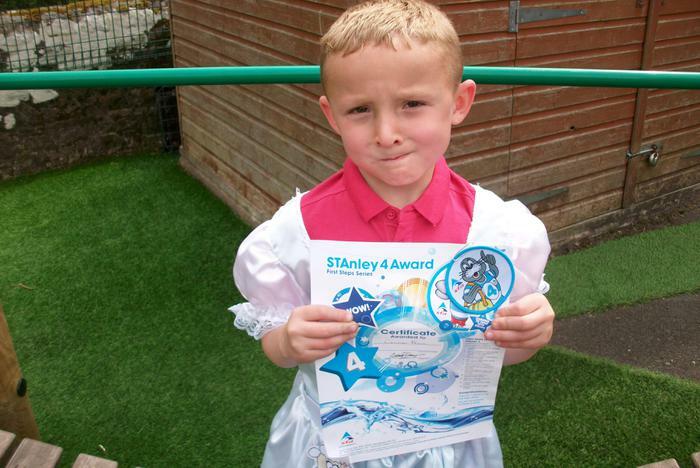 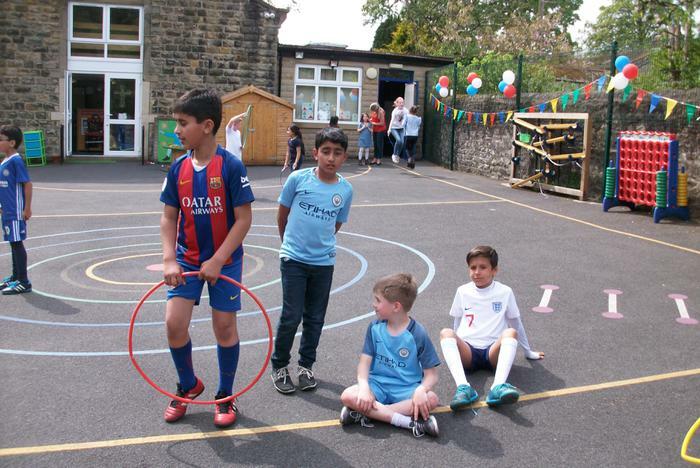 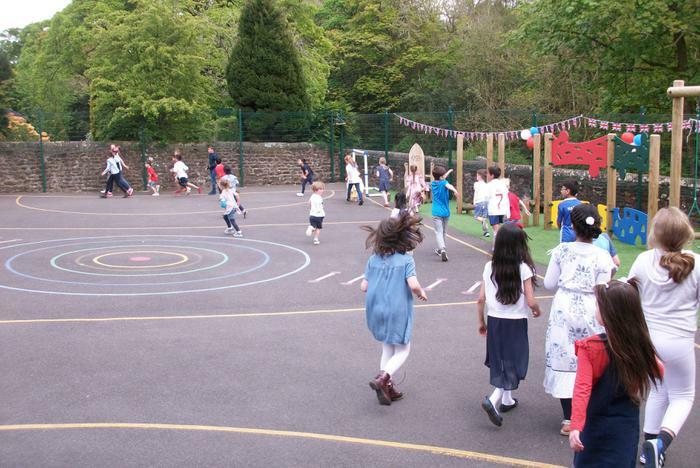 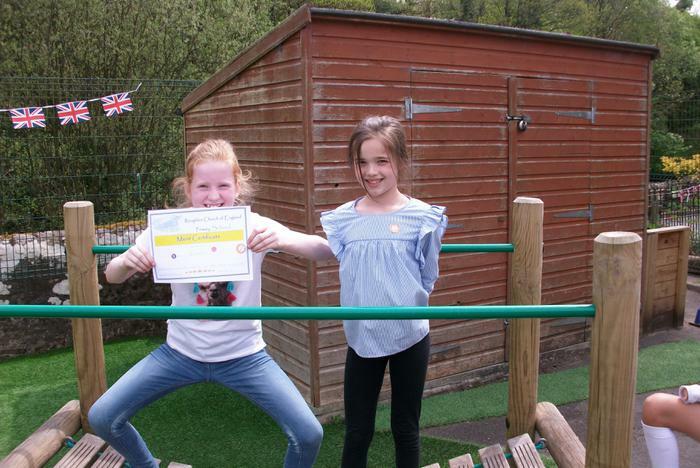 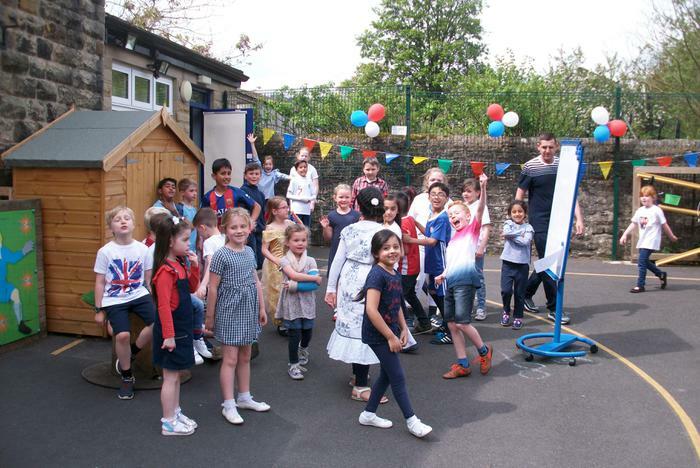 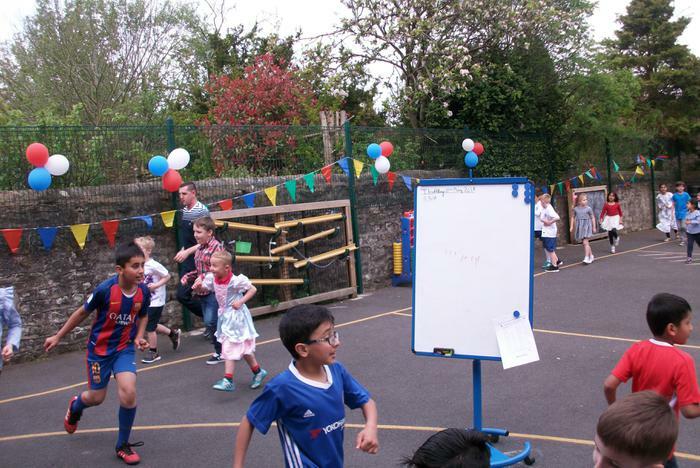 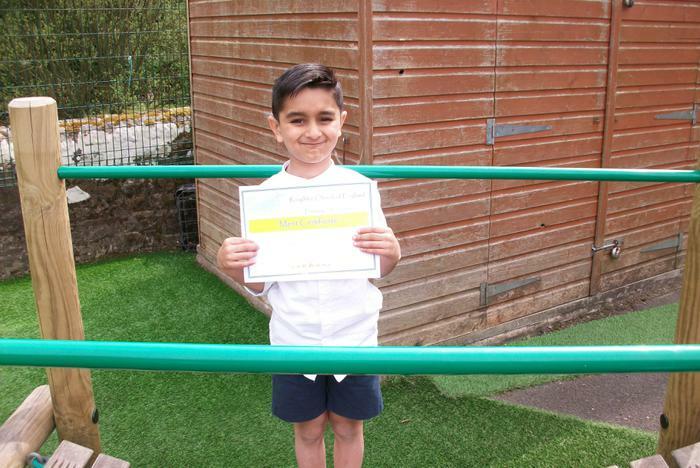 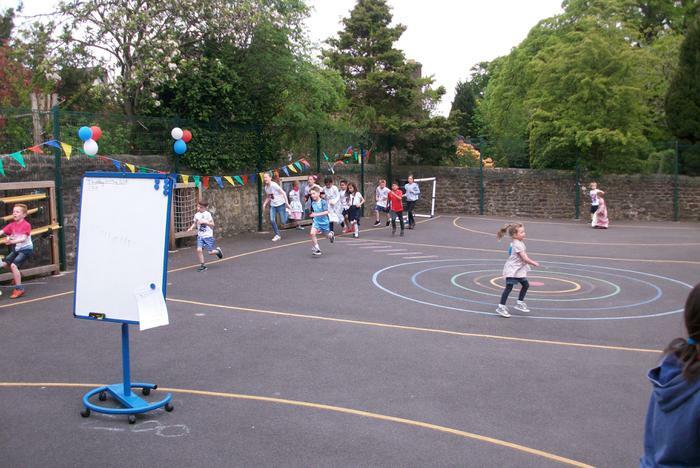 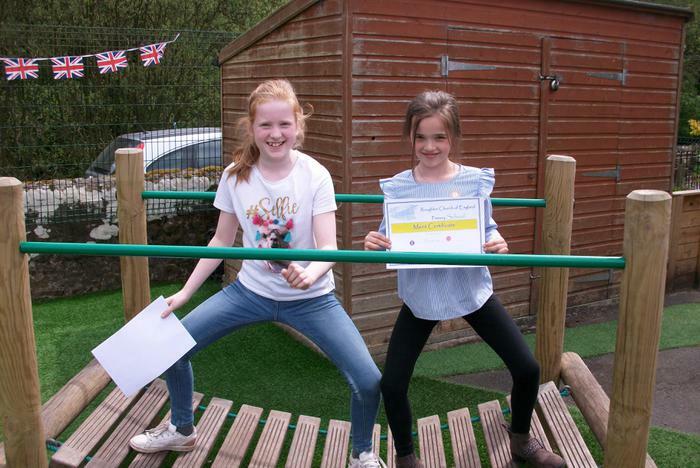 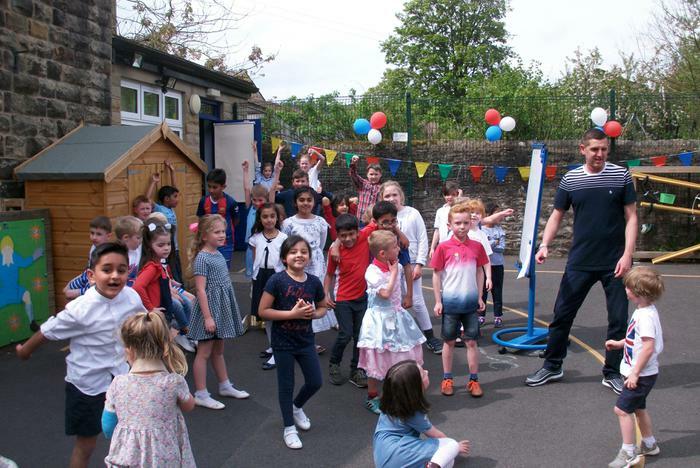 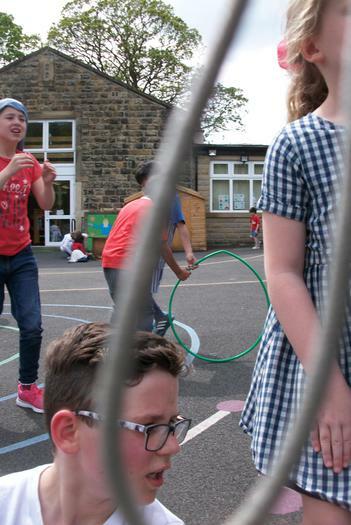 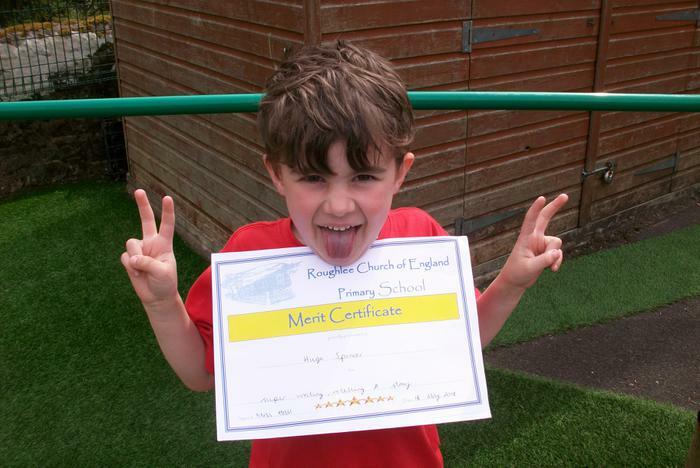 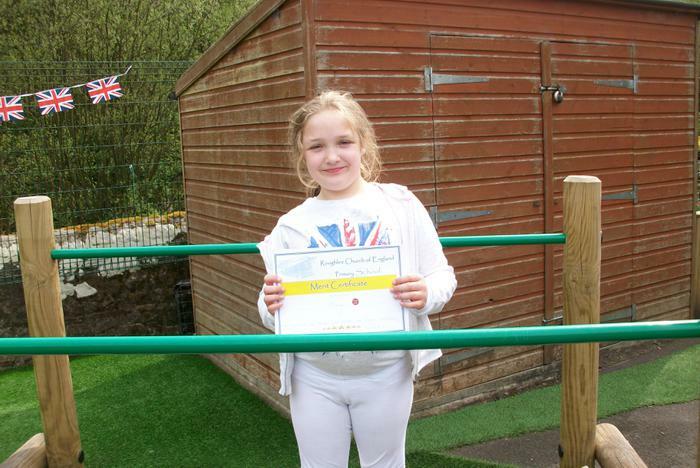 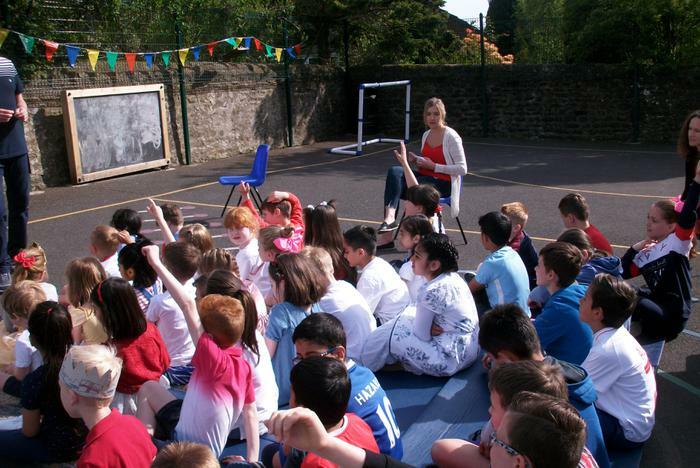 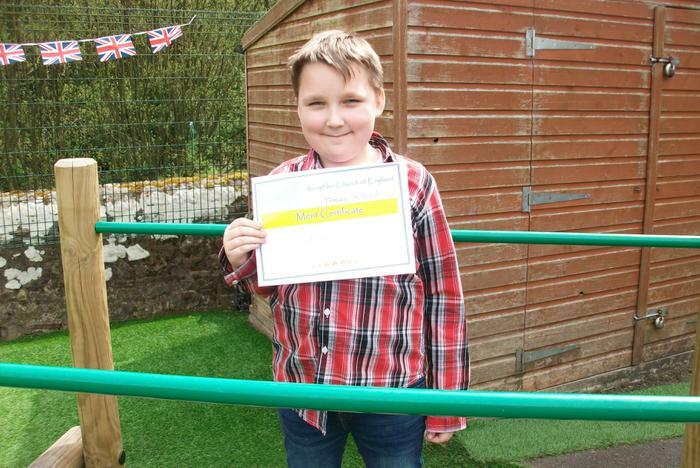 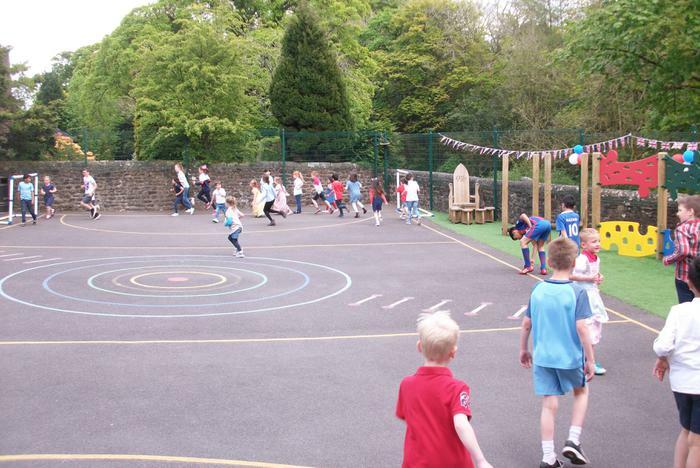 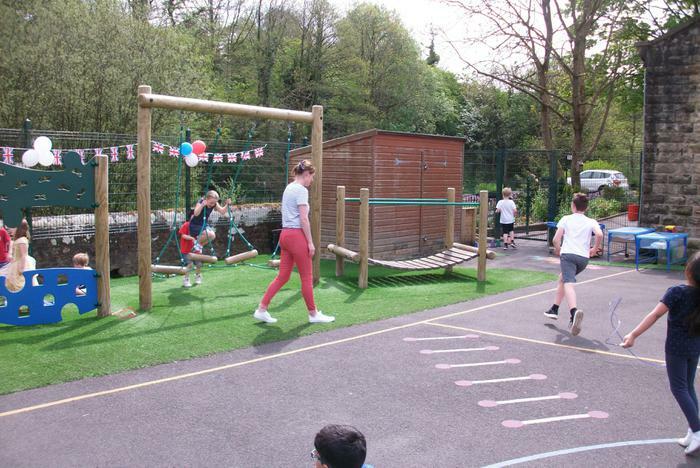 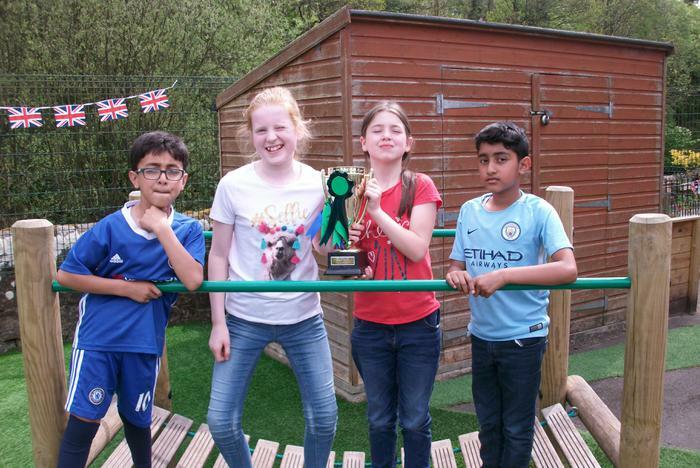 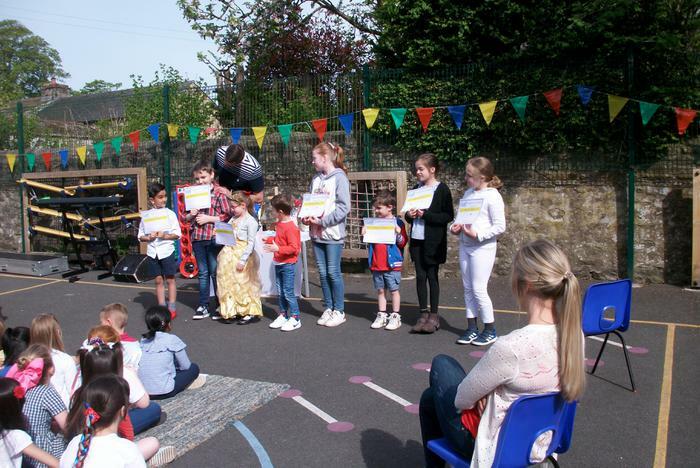 as they participated in a record breaking attempt to get every child in Pendle to run a mile in a day. 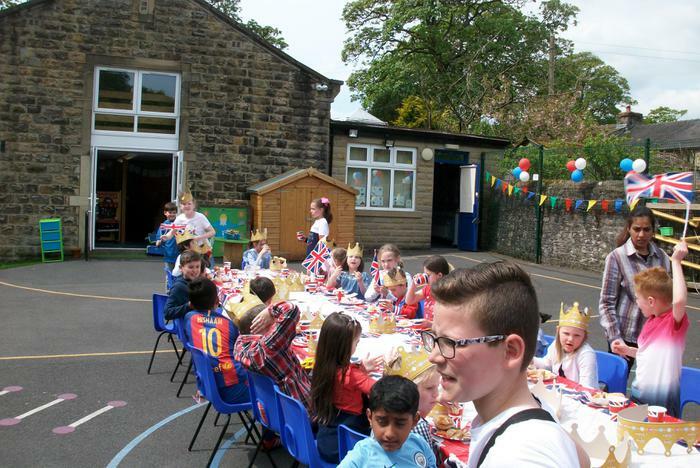 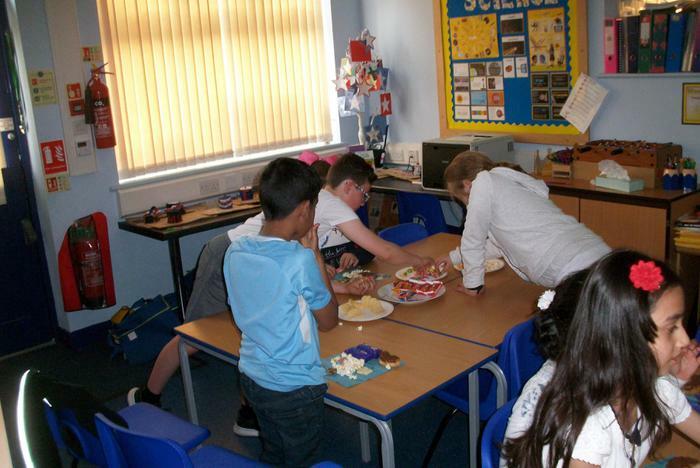 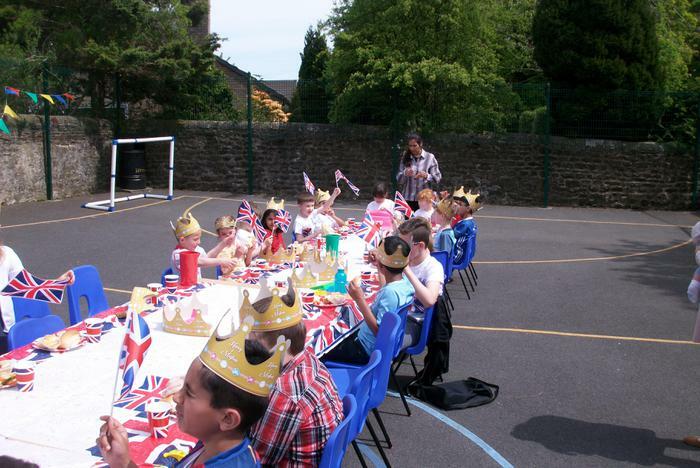 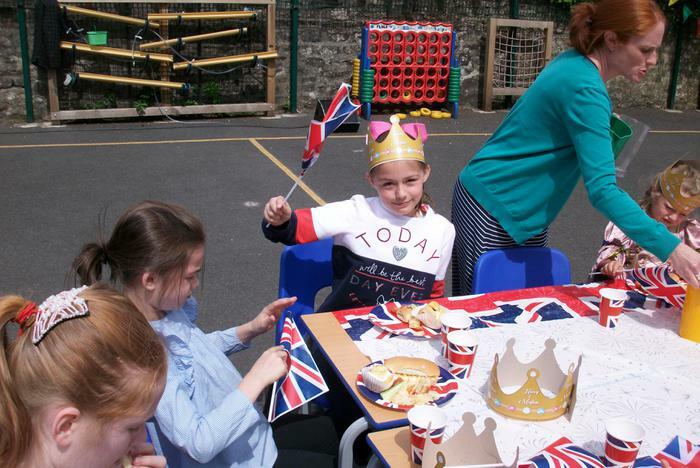 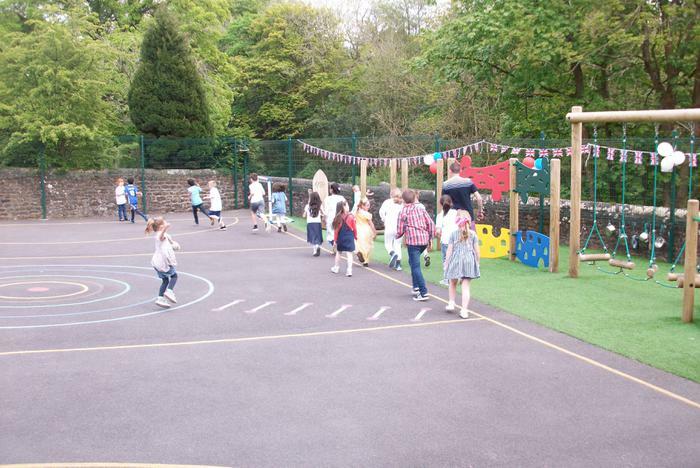 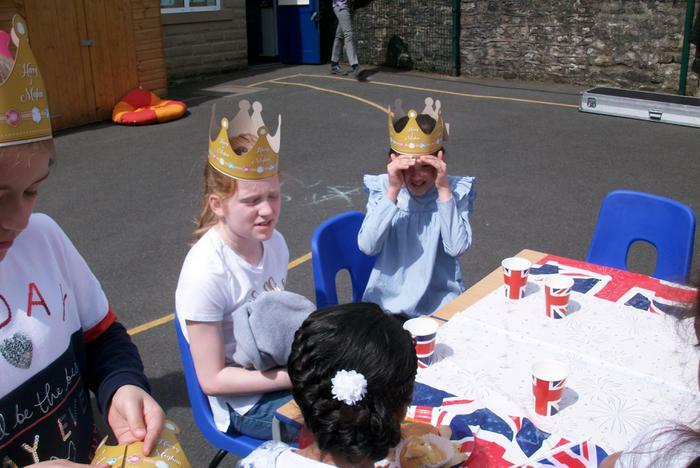 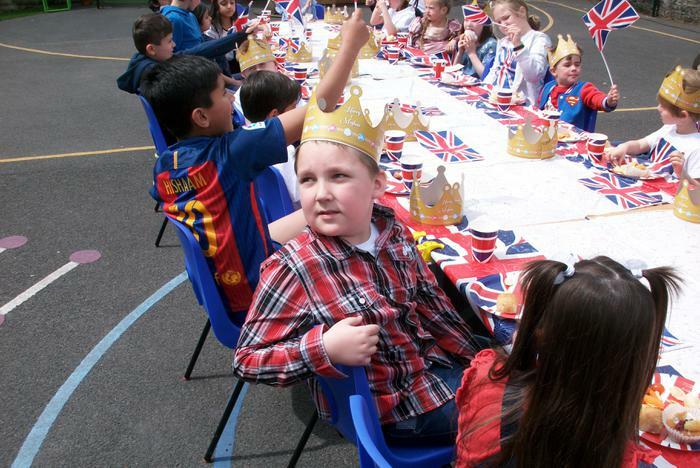 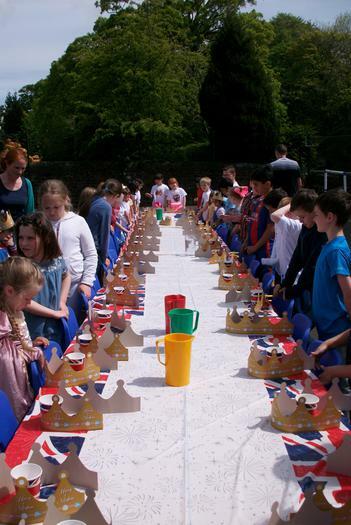 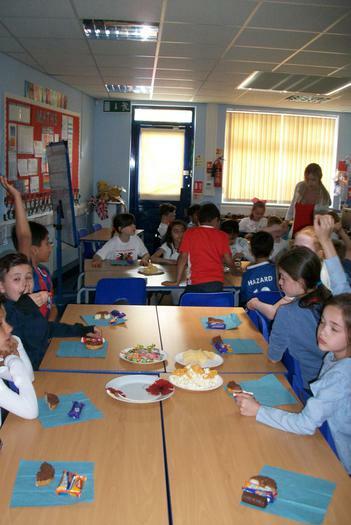 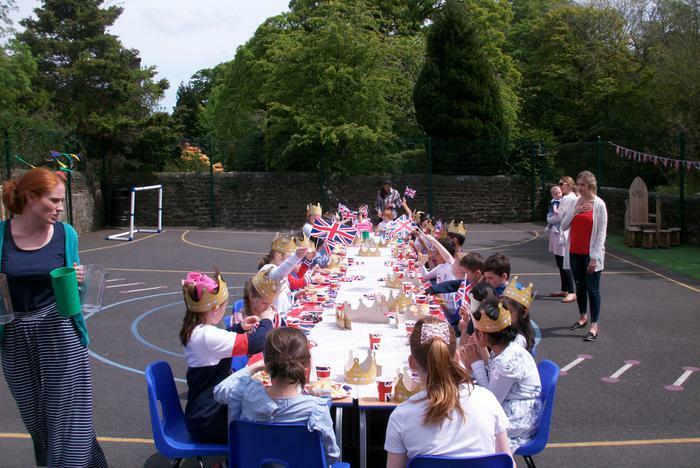 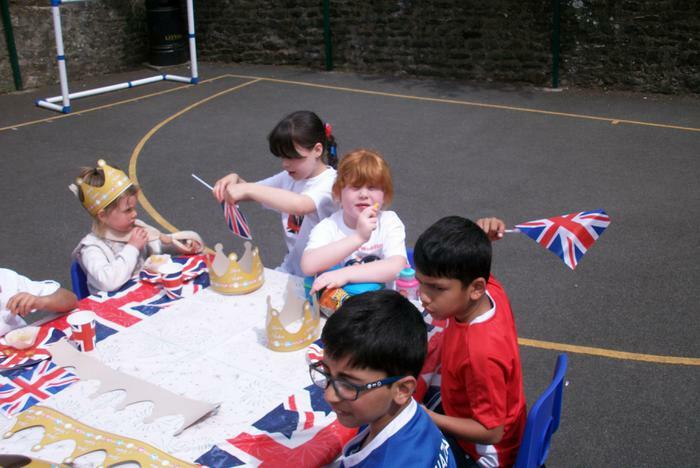 The children also enjoyed a spectacular street party at lunchtime. 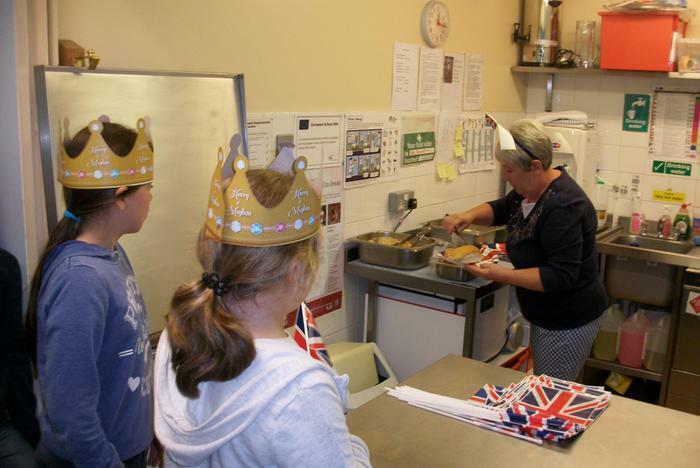 Thank you to Margaret for providing the children with this very memorable experience.